Fed up with taxes? Angered and disappointed by corrupt leaders? 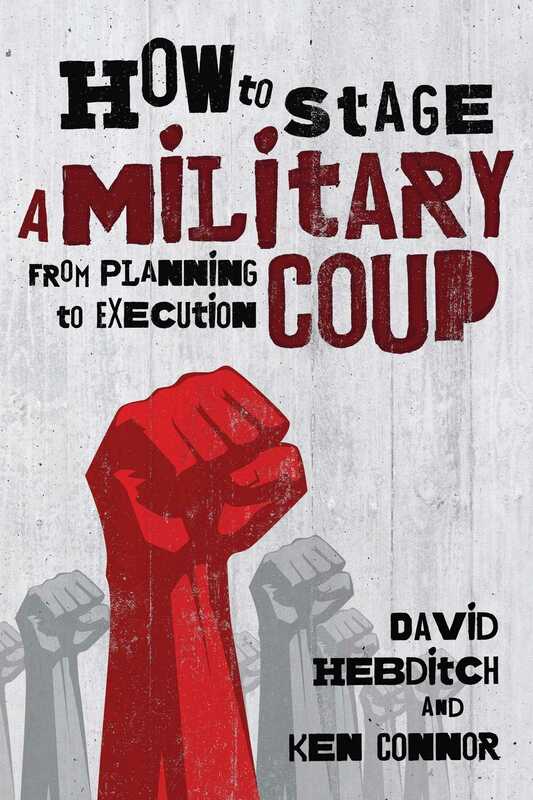 How to Stage a Military Coup lays down practical strategies that have proven themselves around the globe. David Hebditch and Ken Connor examine, with a critical eye, successful as well as failed coup attempts throughout the twentieth century with the aim of showing their readers just what it takes to swiftly and soundly overthrow a government. Exploring coups from Nigeria, to Cuba, to Iraq, and with true stories of SAS combat written by Ken Connor, the book gives an insightful glimpse into this violent and rarely-seen world of shifting power. How to Stage a Military Coup is a unique textbook for the armchair revolutionary, as well as a practical guide for the idealist with a soft spot for the sound of artillery fire. From evaluation of the political climate and investigation of potential allies, to recruiting and training personnel, to strategies for ensuring timely transfer of power, the book leaves no aspect of the coup unexamined. This new edition features a new introduction from the author, and also includes appendixes, notes, and even a "World Map of Coups d'etat."